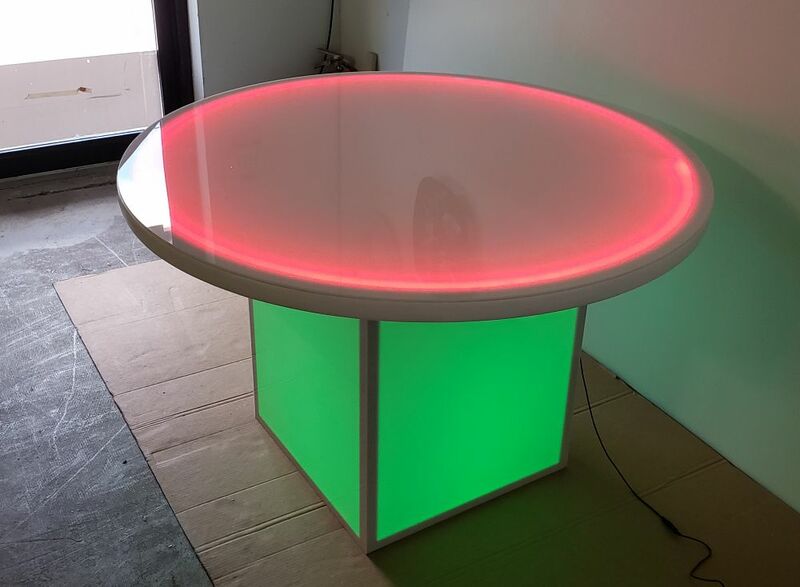 This 48 inch round glow table features a light up 48" round table top with a removable 22 x 22 x 28"H light up base. The table top & base can both be set on the same glow color, or different colors. The feature of a removable base makes this table perfect for the wedding & event market. Custom Size & Configurations Available! The Base:The base consist of an internal aluminum support frame with white polycarbonate panels.The base dimensions are 22x22x28" Height. Base Weight: 35 lbs.